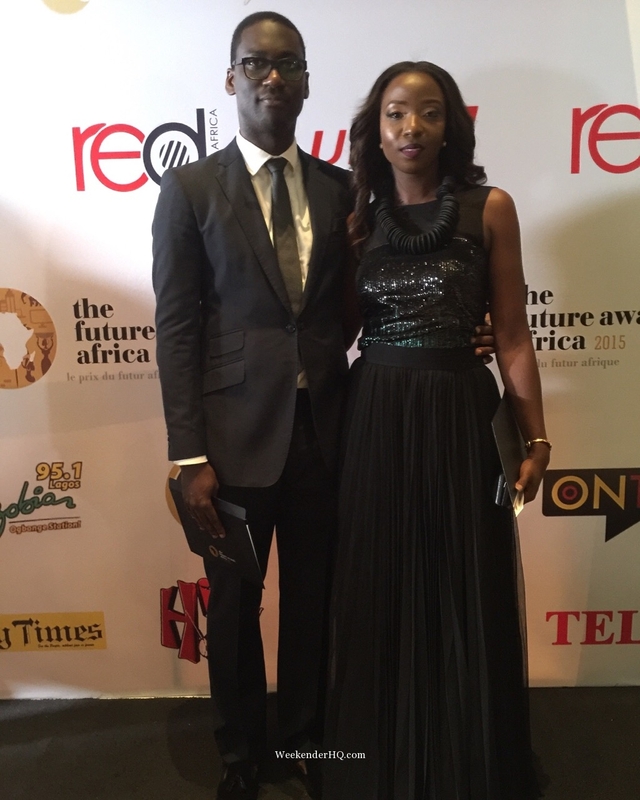 The Future Awards Africa 2015 – A dose of Inspiration for the year ahead! 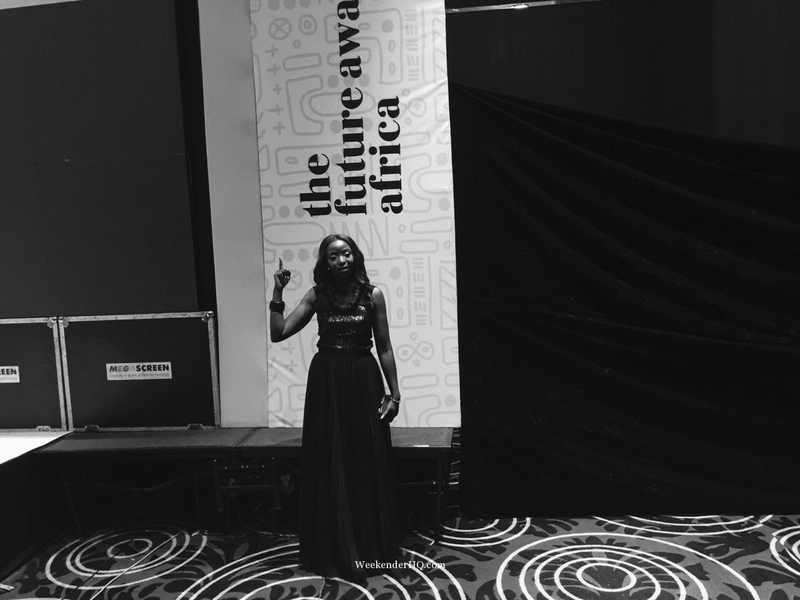 I had the great pleasure of attending this year’s Future Awards Africa held at the Intercontinental hotel in Lagos on Sunday the 6th of December. 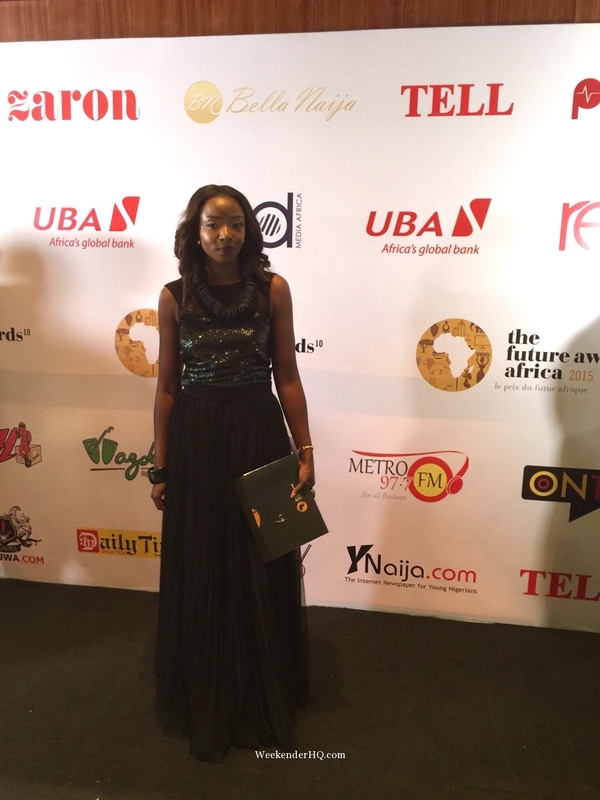 An Award’s to celebrate young people in Africa who have made laudable and outstanding achievements in the year. I must say, reading through the profiles of the nominees for each category was simply motivating, a significant reminder of who who we are, who we want to be, who we want our children to be, the change makers – making a positive impact in the world we live in now – today! Ukinebo Dare, the winner of the Ford Foundation Prize for Youth Employment Category set up the Poise Graduate Finishing Academy in Lagos, Nigeria “an initiative to re-engineer the Nation’s Workforce by bridging the gap between the knowledge gotten from formal education and the skills required for success in life and career and entrepreneurship”. Thousands of graduates have gone through this academy. If you are in need of some inspiration for the year ahead, I am certain that reading through the profiles of these young people between the ages of 18 and 35 is just what you need. We don’t need more NGOs, as much as we need more support for those already solving these problems. We don’t need more politicians; we need more people forcing governments to do what they must for more young people. We need to move from hashtagging words, to hashtagging action. And for this, we need active citizens. We don’t need part-time Africans. ‎We need full time citizens. We need a groundswell of active, engaged, involved citizens – solving problems, at the same time, across our nations.” Full speech. Charges by Ndidi Okonkwo Nwuneli, Tara Fela-Durotoye, Obiageli Ezekwesili and more all added to the strength of the event, fabulously hosted by Bonang Matheba and Dare Art-Alade. 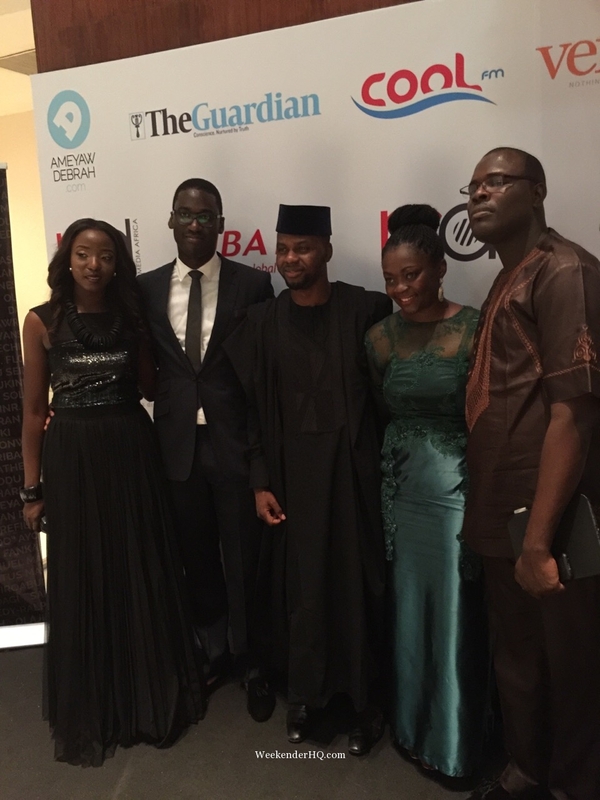 Chude Jideonwo (far right) and Adebola Williams (Center) – The Future Awards Africa was conceived by them in 2004.